Apply the gift card balance to an Amazon Gift Certificate, then immediately preload the Amazon gift certificate to your online Amazon account. Although this limits my purchase store, Amazon also happens to be the largest online retailer. It's a relief to know Amazon will automatically deduct first from the gift card balance (so I don't need to keep track of it). Use it to pay your utility bills. This includes Cable TV and Cell Phone. Depending on your utility provider, some allow overpayment so your account carries a positive balance. This positive balance is automatically deducted on your next billing cycle. And everyone has a utility bill of some type. Ask the store to split the payment. Most retailers can handle this type of transaction. The only challenge is that it requires you to know the balance left on the card. Also, if the item you purchase can be returned and there is a chance you might return it, you should keep the used up gift card. A simple method is to keep a small post it note on the card to track the balance. Sell it to a secondary market. I've never really considered option only because you can ever redeem 100% of the value. But there are several online retailers that offer to buy your card and resell it for you (for a fee). 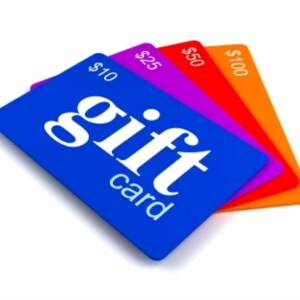 I buy from the secondary gift card market with caution because you can never be guaranteed the originally owner of the gift card hasn't written down the gift card number and spend the balance after selling it to reseller market. Certain States have laws that state the store must pay you back in cash if the balance is less than a certain threshold. Although this threshold varies from state to state, California state that a card less than $10 after a purchase must be paid back in cash. Though this is not really a method, it is important to know your rights! I've encountered uses for all but #4, but the idea had crossed my mind and I did my research. More than often, I find negative reviews on gift card resellers. Therefore, my go to method these days is to redeem an Amazon gift certificate and apply it to my own account. The process is easy and can quickly completed. Amazon offers such a wide range of products that I feel confident I can spend the money. Additionally, this eliminates the worry of managing multiple credit cards in my small wallet.